Disneyland 4th of July Sale on Park Tickets – 4th Day FREE!! For 4 days only, get the 4th day free on Disneyland Tickets for this 4th of July Sale! 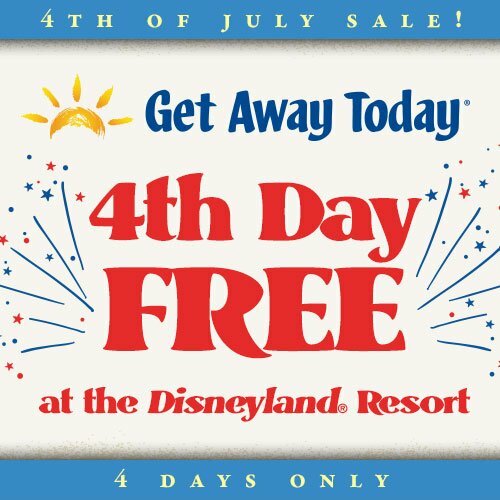 Check out this 4th Day Free sale for the 4th of July on Disneyland Tickets! It’s good for four days only. The sale begins today, Tuesday, July 3rd and must be booked by Friday, July 6th. If your followers are purchasing a package (minimum of 2-nights and 2 theme park tickets), they can use your promo code for an extra discount. Get more details, and these savings here. You can find a full round up of the Best Disneyland Ticket Deals in this article here too, if your looking for other dates or options.